Not only is it important that your cake looks fabulous but it must taste fabulous too. 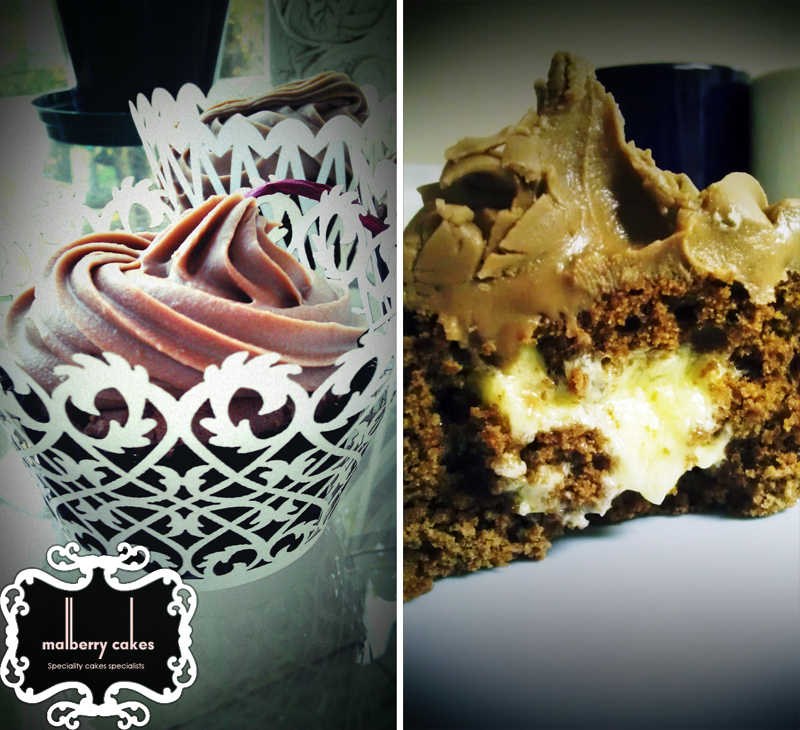 Here at Malberry Cakes we believe in using only the freshest and finest quality ingredients for all of our products. Whether you choose a light moist sponge layered with delicious buttercream or a rich dark chocolate cake layered with decadent chocolate ganache we will ensure your cake is truly a mouth-watering piece of art. All our cakes are covered with a thick ganache to keep the moisture in and to ensure that straight 90 degree clean corner. Choose between dark, milk, caramel or white chocolate ganache. They are then covered in fondant. Choose any flavour above. Our cupcakes can be filled with caramel or a custard cream for a soft center. They can either be covered with buttercream icing, cream cheese icing or fondant. All our standard fondant covered cakes are first covered in chocolate ganache. Your cake can be covered in smooth dark, milk, caramel, white or coloured chocolate with chocolate scrolls or chocolate panels around each tier. For a contemporary and stylish look, you can decorate individual tiers with a combination of white, caramel, milk, dark or coloured chocolate individually.